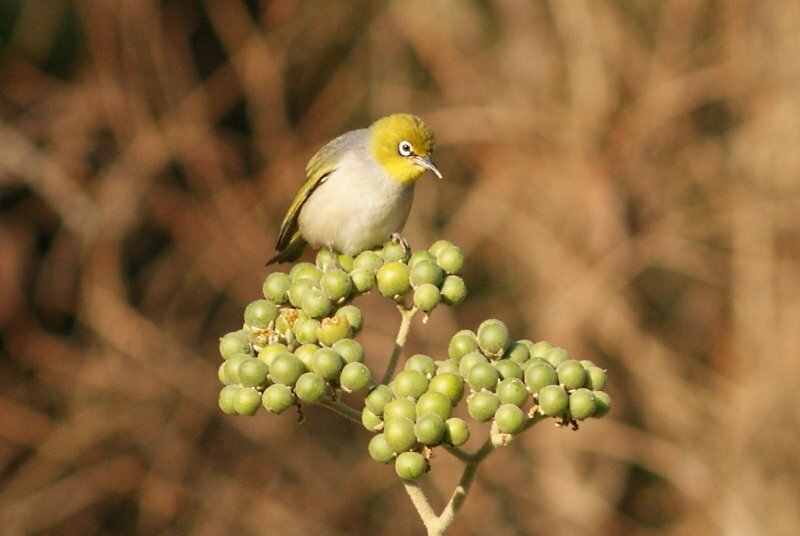 Silvereyes are tiny members of the White-eye family (10-12 cm) and one of only two of this family regularly seen in Australia. Several subspecies exist, each with subtle plumage variations - the first two birds are likely to be of race westernensis, seen around NSW. 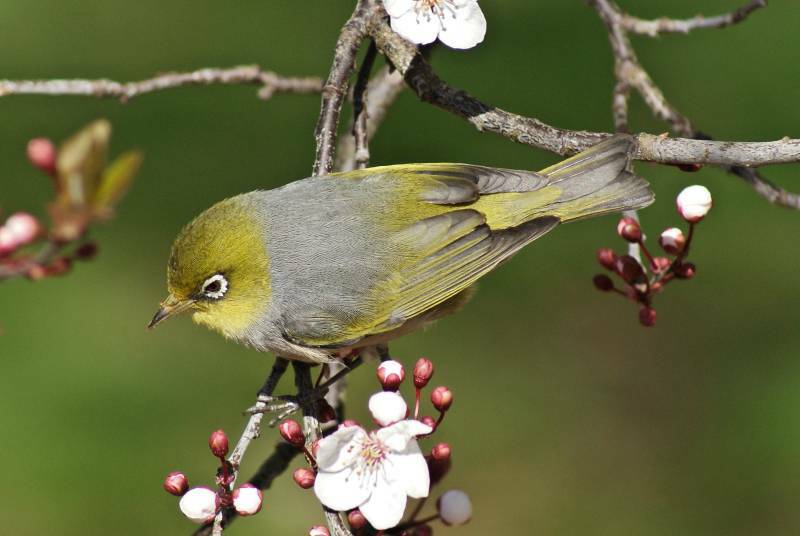 In the winter, Tasmanian birds may appear in Victoria and southern NSW and have deep chestnut flanks. 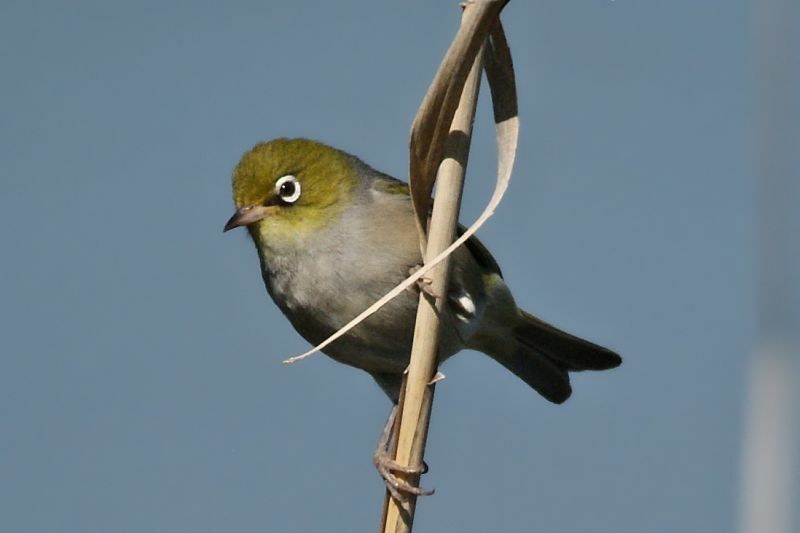 The third photo is of race pinarochrous, which is local to south-east SA, south-west NSW and western Victoria. They feed on fruit, nectar, berries and insects and in colder months can be seen on bird feeders. 2: Hornsby Quarry, NSW, 07/08/2010. 3: Greenfields Wetlands, Mawson Lakes, SA, 13/10/2012.